Cirque de Chine Sevierville is an excellent choice for an evening entertainment at the Smoky Mountain Palace Theater. If you have only one night to see one show in the Smokies, then this is one of your best choices. You will have the opportunity to enjoy a world class performance by some of the world's top acrobats and gymnasts. This is a Vegas style show at about half of the Vegas price. This artistic presentation is a two hour show with dramatic and outstanding music. 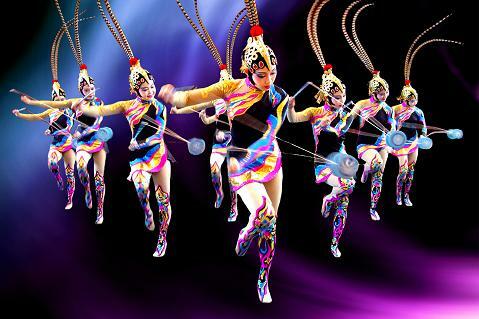 Chinese acrobatics is an art form with a centuries old tradition passed down from generation to generation. They learn from an early age to perfect the intricate combinations of strength, balance and grace. We absolutely enjoyed every moment of what you could say was nothing less than a world class show. Our entire family, all agree the Cirque de Chine Sevierville is the best show any of them have seen, ever. To help with your vacation planning we have been given access to hundreds of Sevierville discounts for attractions, lodging and shows. We understand that traveling or vacationing in popular tourist areas can be slightly more expensive. We hope you find this to be helpful with your vacation budgeting. For convenience, we offer these travel services to give our readers the option to pre purchase Instant Reservation Tickets before ever leaving home. It’s now so easy to buy your tickets online & simply print them on your home computer. And when you purchase in advance, you will frequently receive additional price discounts. Plus, you can skip the reservation desk and go straight to the front of the line with your reservation voucher.